In a perfect world, our Air Conditioner would run smoothly and provide us with cooling in summer and heating in winter. Unfortunately this isn’t always the case. With anything mechanical we should always keep it well maintained but also familiarise ourselves with a few of the common issues, should the Air Conditioning Unit stop working. At ACL Air Conditioning & Refrigeration we only supply & install units that we know have a proven track record for reliability. Over time, even the best units can develop faults. Let’s take a look at 4 of the most common. The first signs of the coil being frozen are the air conditioner not cooling as normal and the general operation becoming more unreliable. At first this can seem like a big problem but it is actually quite common and a fairly straightforward fix. 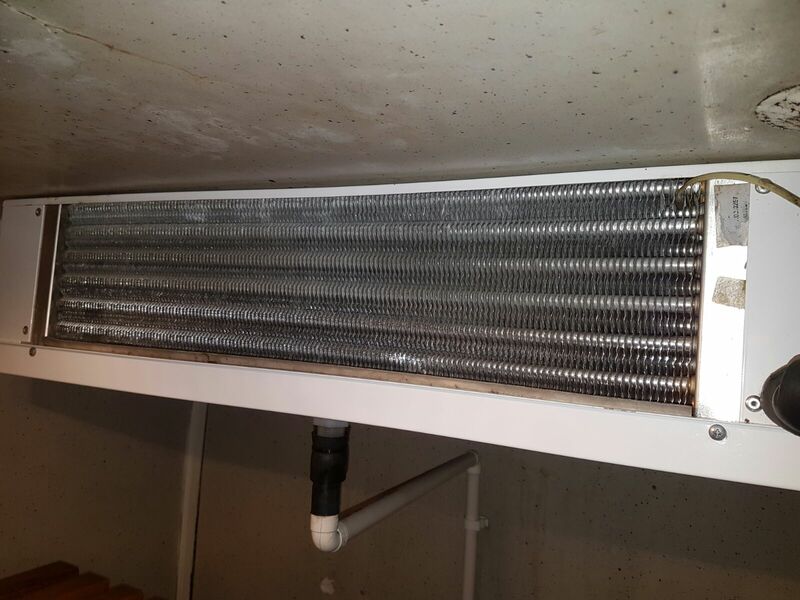 Two major contributing factors to the inside coil becoming frozen are unclean air filters or the return air duct-work becoming blocked. The first step is to turn off the system – a must before carrying out any general cleaning/maintenance of mechanical air conditioning equipment! Next, give the air filters a thorough cleaning and check the ducting for any blockages. Of course should you wish to bring in a professional air conditioning company to carry out the maintenance, we are only too happy to help! We also offer tailored maintenance packages which keep your units in tip top condition. Power surges, intermittent loss of power or complete power loss could be indicative of faulty wiring. The internal wiring can sometimes develop issues and this will result in the unit not getting a consistent electrical feed. If you notice these faults we would highly recommend bringing in a professional air conditioning contractor to diagnose and repair your unit. It can be dangerous with the risk of fire or electric shock if you are not sure what you’re doing! To cool the air, an air conditioner uses a refrigerant called Freon. If your unit is not producing its usual level of cooling it could be that the refrigerant level is low. The cause of low refrigerant level is likely going to be a leak. Initially, you can try topping the level back up but if the unit continues to lose its cooling and the refrigerant level continually drops then it’s almost certainly a leak and this needs to be addressed. If your air conditioner overheats and cuts out or just doesn’t work properly then it could indicate an issue with the exterior fan. The exterior fan transfers the heat from your room to the outside – a very important operation! Now, unless you have been trained in Air Conditioning maintenance and repair, this is probably not going to be something you can tackle yourself. Bring in an experienced HVAC engineer who can get your unit working again. They will also advise you on any further steps you may need to take to prevent having a similar issue in the future. While these 4 issues are amongst the most common problems we see in modern HVAC units, other faults can and do sometimes develop. If in any doubt please contact your local engineer!